As the world focuses on London, I ask myself – is this what ‘home’ feels like? Like half of the country, I’m currently a little bit in love with Danny Boyle, and the ridiculous, chaotic, bonkers, hilarious and politically-divisive show of history, culture, technology and Britishness that was the London Olympics Opening Ceremony 2012. Unexpected and unfamiliar patriotic warmth suffused through me as I cried with laughter over Rowan Atkinson, gasped as old Queenie dived out of a helicopter ahead of a very delicious-looking Daniel Craig as Bond, applauded the defiant entrance of early 20th century suffragettes, punched the air at the NHS show, scratched my head slightly at the dancing nurses, cringed good-naturedly at the ‘social networking’ elements, nodded approvingly at Internet-inventor Tim Berners-Lee, and clapped along to the stunning run-down of British pop music through the decades before an incredible fireworks show topped it all off and it was over. But even before that, before billions of eyes tuned in to watch my capital city’s spectacle, I’d been feeling oddly patriotic; oddly like this might actually be my home – a feeling that is very weird for me, and something that has only happened in the past few years. My history hasn’t exactly leant itself well to making someone feel at home; the inevitable question, ‘So, where are you from?’ isn’t an easy one for me to answer in the succinct way such a polite enquiry usually demands ‒ nobody really wants to provoke eye-rolling too soon in any relationship, after all. But this feeling of displacement and worldwide belonging ‒ rather than a feeling of home ‒ goes back even before I was born, as my grandfather was British, but grew up in Argentina, and married a young Argentine woman from Mendoza, just outside Buenos Aires, where my father was born before moving with the family to Mexico and Colombia, and then ‘back home’ (whatever that means) to England. You’d be forgiven for thinking my mum is on simpler ground, and yet she was born in Hereford, grew up in Yorkshire, with a mother (my grandmother) whose maiden name is the very-German Kinder. Personally, I was born in London, moved to Somerset aged two, moved around there for a bit before upping sticks entirely to the South of France for nine years, and then moving again to Madrid, before coming back to Britain aged 18. And so began my sense that belonging, and nationality, isn’t quite the simple, monolithic thing it sounds. A ‘family home’ in the physical, familiar sense; ‘home friends’ who I’ve known since primary school, long-term ideas such as having ‘the family hairdresser’, a doctor who’s known you since infancy or memories of what the town used to look like – none of these things apply to me. By the age of eleven I’d lived in four different houses – now aged 24, in my lifetime my parents have lived in eight; including two in France, one in Spain, and three in the UK. While, through being in an expatriate bubble in both France and Spain full of people who barely stay in the same place for six months at a time, I know people who have lived in far more countries, far more far-flung, alien nations, and far more houses than I have – but I just can’t comprehend the idea of living in one house in one place since childhood – it just doesn’t compute. And when we first moved from the house in Somerset, I remember crying terribly and sorrowfully, as only a six year old can, grasped by the fear that everything I called home was about to be ripped away. I don’t do that anymore – and not just because I’m older. For most of us, it began properly late yesterday afternoon. Rumours and first pictures of riots on the streets of Hackney suggested that a situation which had previously been contained to the northerly borough of Tottenham had suddenly spread much closer to home. Colleagues in the office decided to leave earlier than planned as phone calls of closed roads started to come in, and the BBC launched a live feed as the first suggestions of a serious situation hung jaggedly in the air. By the time I got home, the situation had escalated beyond belief. I couldn’t tear my eyes away from the apparently literally burning screen as the minutes ticked by, only succumbing to the thought of my 6:45am alarm clock at a still-riotous 2am. A straw poll of colleagues suggests I wasn’t the only one gripped to the news as fresh pockets of violence erupted all over the capital, including a truly horrifying blaze in Croydon. 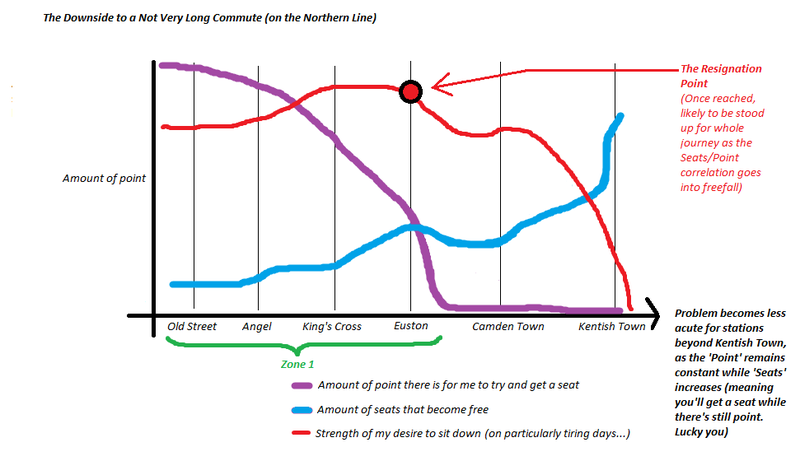 Hurried texts and Facebook posts to friends and family to check if all was OK as reports from breathless and scared journalists flooded in from borough after borough (and eventually, other parts of the country as well) revealed to me just how much my life has seeped into the fabric of the city. Except for Tottenham, I know someone who has lived, or is currently living or working, in pretty much every area affected. To be connected, however tenuously, to some semblance of ‘community’ in the local area in which I am currently living, is a very rare sensation for me. I often balk at the catch-all word ‘community’, with its faux-political overtones and suggestions of peeling-paint town halls, and as a one-time ex-pat who has moved schools, homes and neighbourhoods more times than I care to count at the moment, have as such cultivated a benign but resolutely unattached stance to most places I live in. I like them yes, I travel through them yes, but I don’t belong. Where I am at any given moment usually feels temporary, even if I’ve been there a while. I’m aware that living arrangements can change quickly, and know that to get too attached to a place (or indeed, a person) for too long leaves you wide open to pain and the unquenchable sensation of loss when, as seems inevitable, you need to leave. Usually, I quite like it this way, because to me, belonging isn’t physical, it’s mental; emotional. But, watching the devastation across several hours last night, I began to understand what ‘community’ might mean to so many, but to so many of the looters, seems to mean tragically nothing. I was suddenly struck by a tender sense of belonging. It may not have been my street, or a friend’s street, that was burning, but it could have been – and in many cases rioting and looting was taking place mere minutes down the road (my house included). The pictures, so like scenes from a tragic film, were now suddenly real. Reasons have been given by some to try and explain (but not justify) the behaviour of the rioters, some of which were as young as 12 or 13. The divisive Guardian journalist Polly Toynbee has tweeted (to a chorus of dissent, as expected) that ‘cut[ting] EMA, benefit, youth service, holiday schemes, police, estate maintenance, speed inequality’ is a recipe for disaster (being clear not to justify the riots), while former London Mayor and hopeful Mayoral candidate Ken Livingstone appeared somewhat controversially, and some say cynically, on the BBC News channel criticising the Government’s policing strategy. He went on to connect the violence with ‘anger and disaffection’, saying that young men (and, one sorely hopes, he means young women as well) ‘have no prospect of a job’ and ‘feel that no-one at the top of society cares about them or speaks for them’. Because belonging isn’t just about staying in one place for long enough – it’s much, much more. Perhaps only people who, for whatever reason, feel they have absolutely nothing to lose risk injury and punishment for a new pair of trainers? 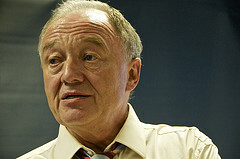 Basically, though, as both Toynbee and Livingstone admitted, much of the violence seems to stem from boredom, lack of respect, lack of connection with the local community, a deeply worrying sense of entitlement, and above all, a staggeringly wanton, reckless disregard for the law – or as Livingstone admitted, ‘out and out theft’. Possibly one of the most devastating pictures of the violence was the YouTube video showing youths helping a young, dazed and injured man to his feet, before another looter steps into the frame and simply helps himself to the contents of the still-stunned victim’s rucksack. Beyond the searing orange fire balls punctuating the night air amid bottles thrown at riot police, it is scenes like this that are so shocking – such callous treatment of defenceless people on perfectly normal streets seems to speak of an ugly, extremely frightening vein of criminality running deep in the psyche of those rampaging through the capital. I would not even begin to suggest that I know the reasons behind it or solutions to solve it, but evidence of a serious problem is clear. However, coincidentally, and seemingly unconnectedly, yesterday I also spent a good half hour looking over the ‘Acts of Kindness’ website. 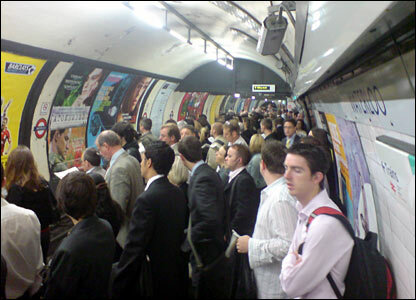 This, an art project by the London Underground, features a series of artworks and testimonials from travellers who, when travelling via London’s most central network, have been struck by unexpected outreaches of help from the usually impassive, busy commuters. Tears gathered in my eyes as I read stories of random commuters looking after the embarrassed, lost, ill, drunk, clumsy, vulnerable and frightened Tube travellers, with no expectation of recognition or thanks. But for the grace of whatever you believe in, the stories remind you, it could be you in these situations ‒ and you benefitting from the kindness of strangers. It might not shout so loudly, it might not force police helicopters out over sleeping streets (thank God), it may not burn businesses to the ground, but kindness is out there, and while meek and apparently rare, the effects are much longer lasting than the physical devastation ever will be. The general response, over Twitter and Facebook, and among people I know, is of sheer disbelief, horror, condemnation of the violence, and mobilisation for good. Already volunteers are being amassed to help clear up the mess, while donations for those who have lost their homes and livelihoods were already being sought late last night. The video of the Hackney woman shouting decisively and eruditely at the criminals destroying her streets has already gone viral as people seek to share her point of view across social networks. As usual, when something widely devastating occurs in this capital, the people band together. It may not be anything as horrific as the London terrorist attacks of 2005 (four years before I moved here), it may be simply a case of out-of-control youths ransacking anywhere they can get away with without rhyme, reason or cause, and it may only (as unpopular, perhaps, as this is to admit) as yet be affecting small pockets of certain areas, but it’s still shocking when places you know, and in which friends live, suddenly erupt in flames on your television screen. But as Londoners rally round, and the rest of the country reacts with fear, shock and disgust, a show of strength is emerging. Prime Minister David Cameron, fresh from a week and a bit in sunny Tuscany, may have done the right thing in coming home from holiday ‒ albeit a worrying belated response matched only by Boris Johnson’s own lackadaisical approach, although he is home now nonetheless ‒ but despite his much-needed appearance, said nothing that Londoners themselves had not already asserted hours before. It’s not clear exactly what the fallout from the riots will be, what effect it will have on the organisation of the police, or, even, the less-pressing concern of the damage done to the international image of the capital, as newsreaders keep irrelevantly reminding us, one year before the still-unpopular Olympics come to the city. But while groups of fatally misled, criminal youths might have robbed small businesses and set the city alight, they certainly do not speak for London. London, this great, antique, crumbling, majestic, dynamic, grubby, multi-coloured, crowded, evolving and beautiful city, now more connected via social media like never before, will speak and is speaking ‒ as ever, for itself.